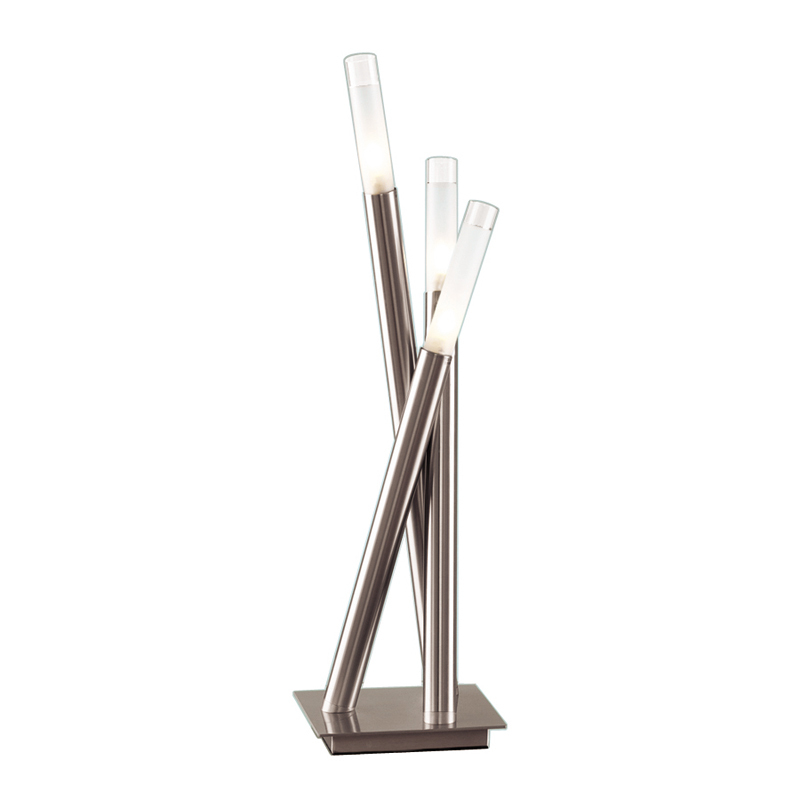 More on the LumiSource Icicle Table Lamp (Brushed Chrome Glass) LSH-ICICLE TBL below. Cylindrical frosted sconces create a soft glow, accenting the modern design of the tubular brushed aluminum arms on these lamps. If you like subtle contemporary, the Icicles are the perfect choice. Uses 40-watt G9 halogen bulbs.